Reserve Your Pet Milton| Online Reservation| Redwood Pet Resort Ltd.
At Redwood Pet Resort in Milton, we provide your pet with loads of exercise and attention so they always feel content and have a wholesome night’s sleep. We also closely supervise your pet so we are always updated on their diet, eating patterns and potential weight loss or gain. To reserve your pets spot, please fill out the form provided and we will get back to you as soon as possible. 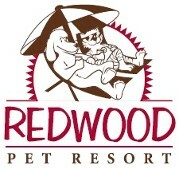 Our team ensures your pet is enjoying their resort vacation so you can enjoy yours!